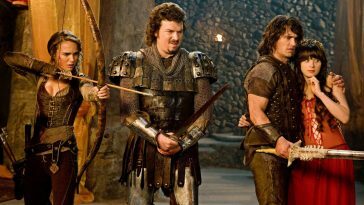 The rule of thumb for sequels is to make a film which progresses the events of the first film, whilst still retaining everything which drew fans to the original. In other words – don’t stray from the formula. 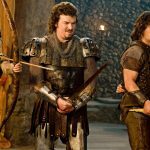 While most follow-ups adhere to this procedure – particularly those derived from the mammoth entertainment conglomerates – there are some sequels which have willfully gone against the grain and jettisoned much of what the audiences loved first time around. Following the success of his 1982 collaboration with Steven Spielberg Poltergeist, Cannon Films approached Texas Chainsaw Massacre’s Tobe Hopper with the offer of a three-picture deal. Turning in less than stellar results with both 1985’s bloated Lifeforce and the subsequent year’s limp remake of Invaders from Mars, for his third film the director went back to the iconic human skin-sporting character which launched his career. 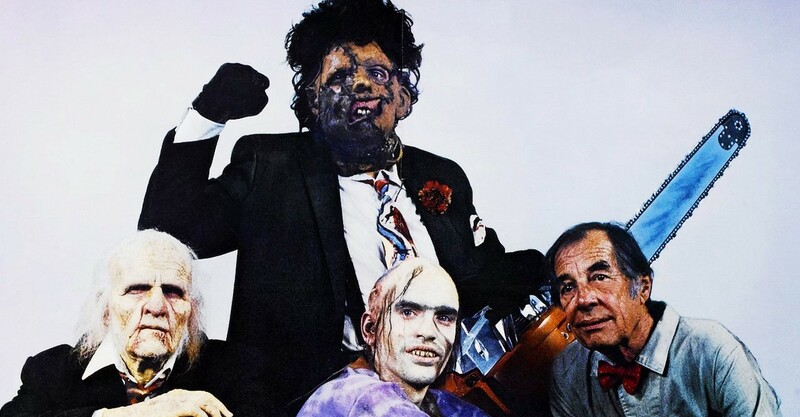 Eschewing that grainy lo-fi verite-style aesthetic of the first film, The Texas Chainsaw Massacre 2 was a broadly-played black comedy, ramping up the gore this time around instead of skillfully withholding from showing as he did so expertly in the original. 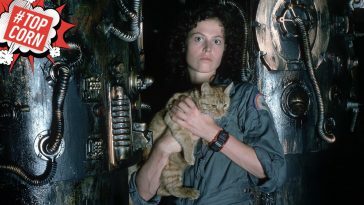 The film was far from a dud – it made back double its budget domestically – but critics at the time were largely unimpressed at this retread, and fans of the original’s primal, stripped-down exercise in terror were more than a little aghast at what Hooper had done with his belated sequel. And yet history has been much kinder to the film, and as the decades have passed, fans have really come around to the film’s knowingly exaggerated vibe and that barbecue-obsessed redneck Deep South caricature. While it doesn’t enjoy quite the same reverence as its predecessor, it’s fair to say The Texas Chainsaw Massacre 2 now has a healthy and loyal cult following. But the exploits of Leatherface is not the only celebrated horror title to pull a “they really went there?” approach with the follow-up. John Boorman’s demented take on The Exorcist (Exorcist II: The Heretic) was a film which was hugely derided on release. 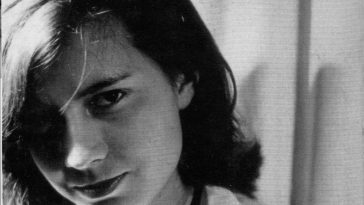 Again, like TCM2, it has managed to pick up a growing band of apologists over the years, but don’t expect the original’s director William Friedkin to come around anytime soon. 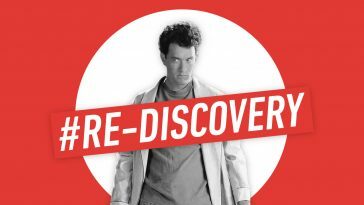 Some forty-plus years later, he’s clearly still wounded by the sequel to his work, as evidenced in a recent episode of The Movies That Made Me podcast, where the 83 year-old director went on an expletive-laden tirade against Boorman’s film. 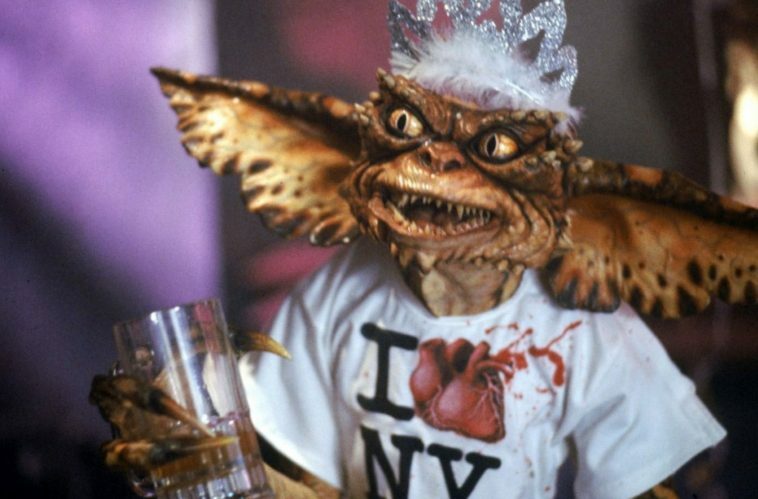 A sequel which managed to rewrite the rules yet still be greeted with a similar fanfare to the original was Joe Dante’s Gremlins 2: The New Batch. 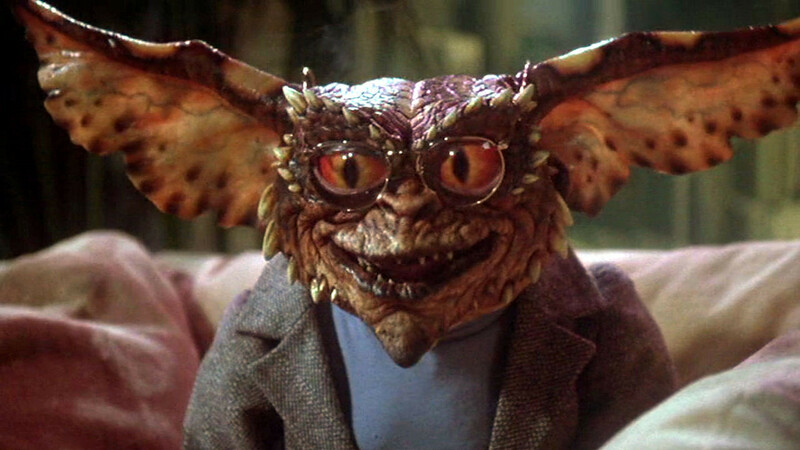 Using the character guidelines laid out in the original – a legion of Gremlins run riot after accidentally being spawned from the lovable Mogwai – Dante went for broke, adding a huge assortment of movie references and fun meta flourishes to proceedings, from a film critic who savaged the first Gremlins being attacked on screen to having the film itself break down at one point. 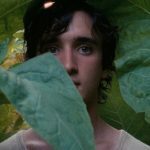 This anything-goes approach is pretty intoxicating to witness, and Dante is completely at home imbuing his film with a slapstick, anarchist atmosphere, pulling from both obscure and celebrated films from the past to help realise his demented vision. On Its 40th Birthday, We Ask: Is Grease Still the Word? 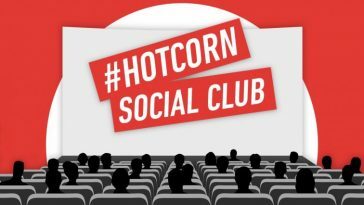 Hot Corn Social Club | What’s your favourite Best Picture winner?